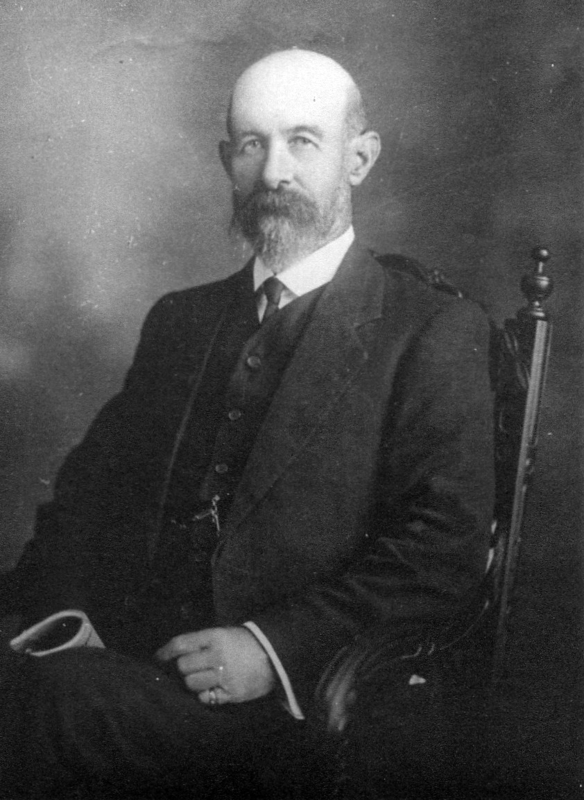 Arthur Lydney Payne was one of Lambton and New Lambton’s most prominent citizens. This month marks 100 years since his death on 15th June 1917. A L Payne was born at Lydney Park, a property in the Millers Forest area, around 1850. 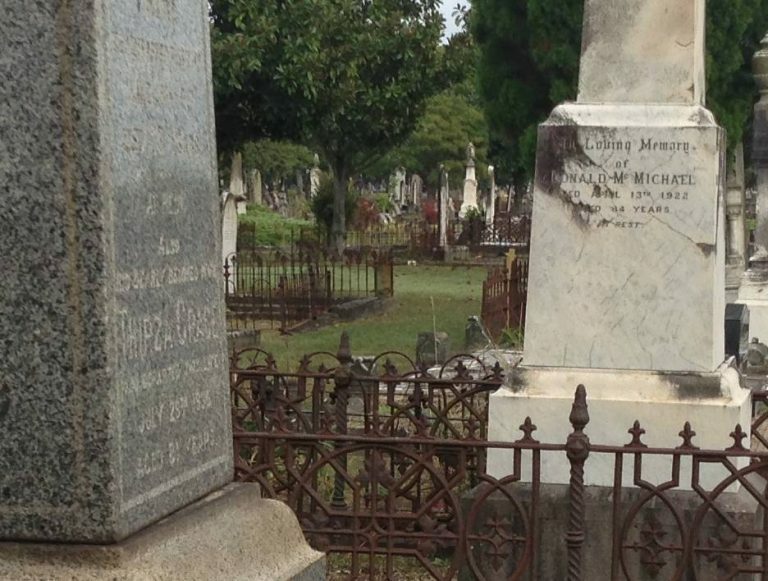 In the 1860s his family moved to Waratah, where the teenage Arthur was employed by the butcher, D McMichael. 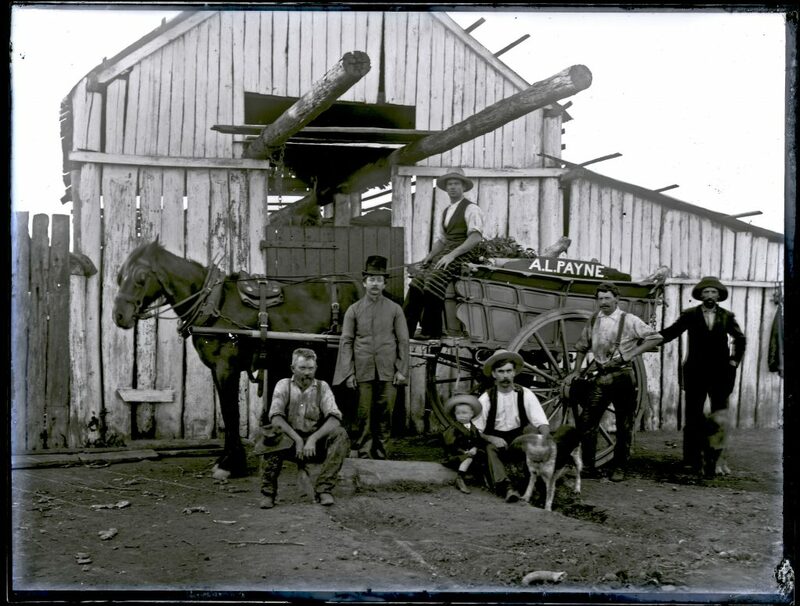 Arthur’s skill and reliability were so evident that he was soon appointed to the management of the business. In 1870, at just 20 years of age, Arthur Payne purchased a butchering business in Regent St New Lambton, and later that year opened another shop in Elder St Lambton. Thus began a family business that maintained a continuous association with the area until 1993. One of the enduring legacies of Arthur Payne to our district is Le Chalet, the elegant house he had built in Elder St Lambton in the early 1900s. In 1911, at the rear of this property, Arthur Payne erected stables and a buggy house, as he was an avid horseman. He maintained a lifelong interest in the sport of show jumping, and won a number of competitions across NSW with horses he had personally trained. Even a month before his death at age 67 he was active, purchasing a “well-known jumper and show horse” from the Maitland horse markets. The slaughterhouse that A L Payne established in the 1870s to supply meat to his butcher shops. Exact location uncertain. Photo by Ralph Snowball. University of Newcastle, Cultural Collections. 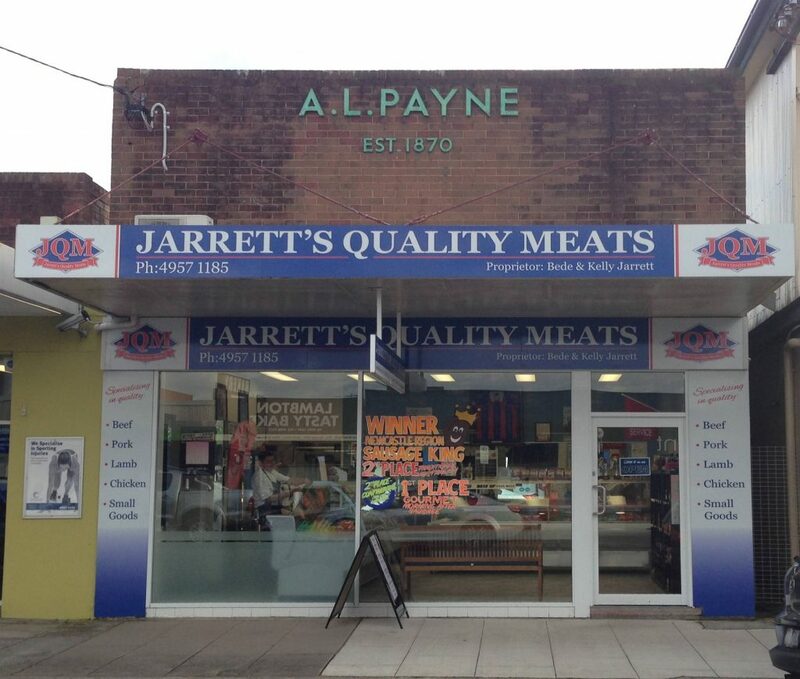 Although not the original building, A L Payne’s former butcher shop in Elder St Lambton still displays his name, and the year he established his business in the area. The site of A. L. Payne’s butcher shop in Regent St New Lambton. The article above was first published in the June 2017 edition of the Lambton & New Lambton Local. 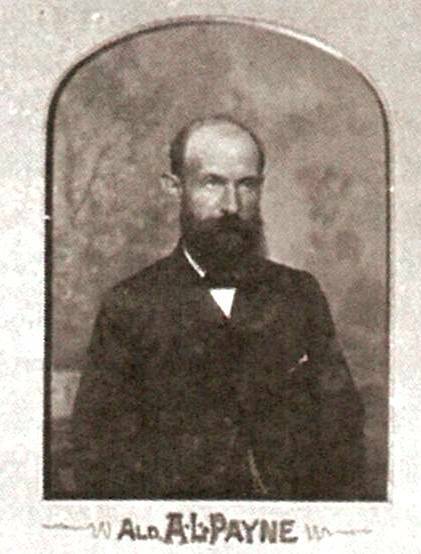 A. L. Payne. Photo from Amy Gibbs. Grave site of Arthur Lydney Payne, Sandgate cemetery. Inscription on grave monument in Sandgate cemetery. (Contrast enhanced to improve readability.) 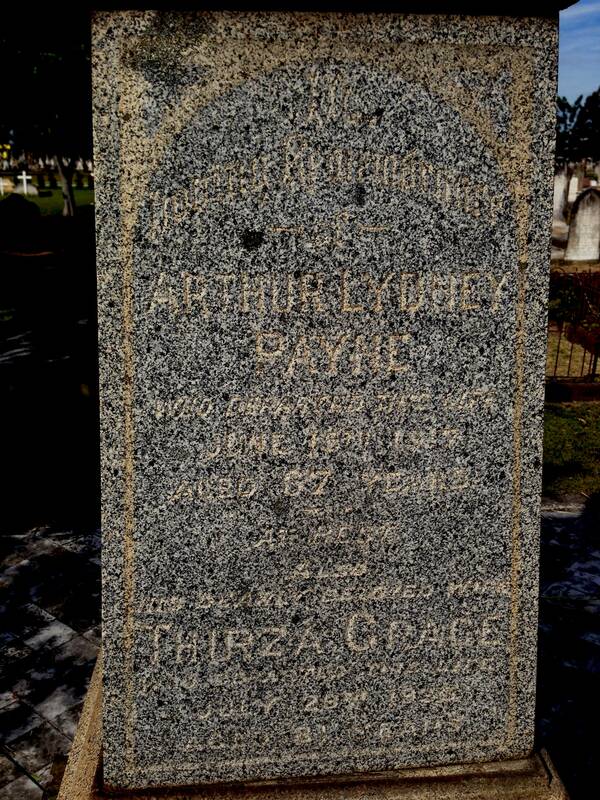 "In loving remembrance of ARTHUR LYDNEY PAYNE who departed this life JUNE 15th 1917 a Aged 67 years. At Rest Also His Dearly Beloved Wife THIRZA GRACE who departed this life July 28th 1936 Aged 81 years"
In a curious coincidence, the grave of Arthur Lydney Payne in Sandgate cemetery is adjacent to that of Donald McMichael, the man who gave Arthur his start in the butchering trade. There is some uncertainty about the age of A. L. Payne at the time of his death. Page 155 of “The Story of Lambton” states his date of birth as being 8 January 1851, which would make him aged 66 at his death. However the inscription on his grave states his age as being 67. To add to the confusion, the newspaper article reporting his death states that he was born in 1852, which would make him aged 64 or 65. Interestingly, both periods of office ended with a resignation – in May 1894 over the the failure of the electric light plant, and in March 1912 for an unspecified reason. 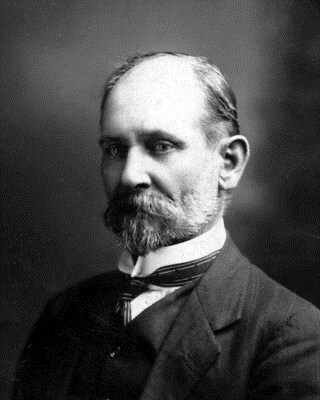 Alderman A. L. Payne, Lambton Council 1890. From a collage of Ralph Snowball photographs. Newcastle Library. 5 May 1917 At the Maitland horse markets, a month before his death … "We have also to report the sale of the well-known jumper and show horse, Moonbi, at a highly satisfactory price to Mr. A. L. Payne." 15 Jun 1917 "Mr Payne carried on a butchering business successfully for many years, but he was better and far wider known as a skilful adviser in cases of sickness and chronic complaints. 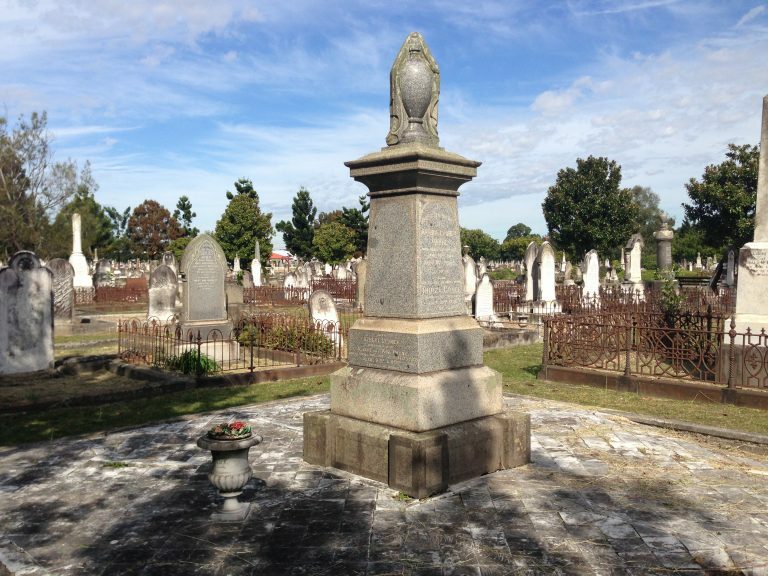 He was so successful in the treatment of all kinds of human ailments and diseases that patients came to him from almost all parts of the Commonwealth, including Queensland and Tasmania." 15 Jun 1917 Death of Arthur Lydney Payne. 16 Jun 1917 Funeral notice for A. L. Payne. 19 Jun 1917 Letter of condolence sent from Lambton Council to the widow and family of the late A. L. Payne. 21 Jul 1917 Estate of A. L. Payne valued at £18,185, bequeathed to his wife Thirza Grace Payne. I was told that the house on the SW corner of Grainger and Howe Streets was owned by the Payne family and that the present owners bought it from them. True? That was owned by his son Leslie Payne. 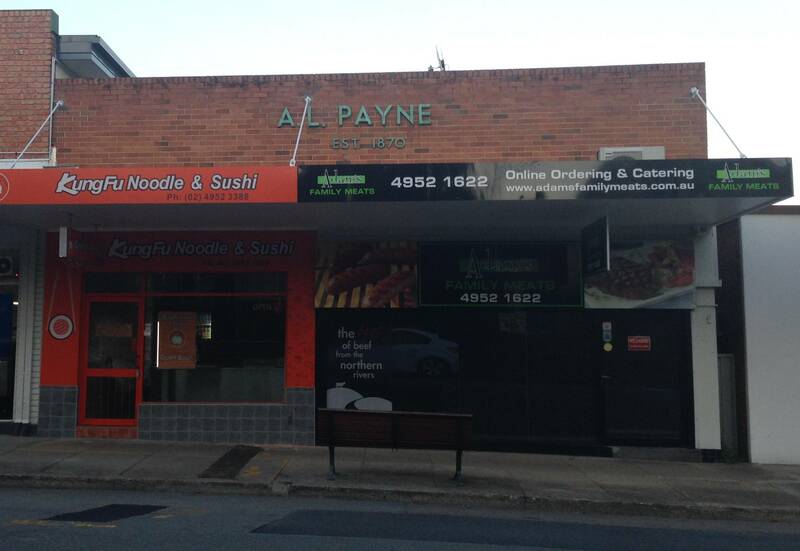 Thank you Lachlan for this great compilation of information on A.L Payne.